The scheme’s two components — setting up ‘Health and Wellness Centres’ and the National Health Protection Scheme — do not address the problems that India’s health sector is facing. Prime Minister Narendra Modi launched the first ‘Health and Wellness Centre’ — under the Ayushman Bharat scheme — at Bijapur in Chhattisgarh on 14 April. 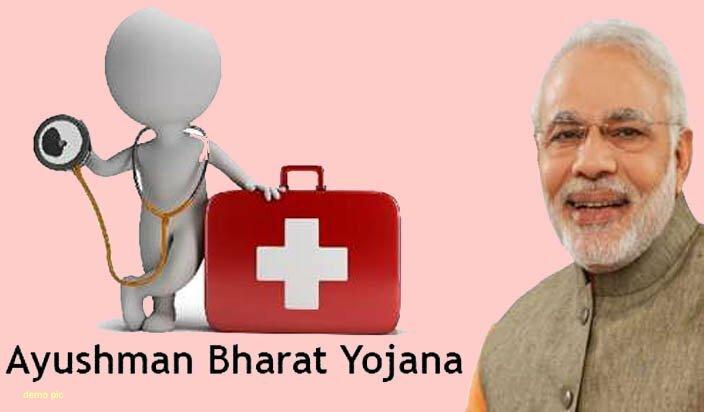 Ayushman Bharat — the new flagship health scheme of the BJP-led NDA government — has two components. The first is creation of a nationwide network of 1.5 lakh Health and Wellness Centres (HWCs) meant to provide comprehensive health care. The second is the much-vaunted insurance scheme called the National Health Protection Scheme (NHPS). However, there are a number of reasons why either of these initiatives are unlikely to take care of the health and medical needs of the vast majority of India’s population. The idea behind the HWCs is that, at present, the health sub-centres and primary health centres (PHCs) in India are focussed mainly on maternal and child health care, besides some major communicable diseases. Therefore, the sub-centres and PHCs would be transformed into HWCs, which would expand the range of healthcare provided to include non-communicable diseases and chronic illnesses. The budget allocated Rs 1,200 crore for this, while “contribution of private sector through CSR and philanthropic institutions in adopting these centres is also envisaged”, says the government. However, this amount is nowhere close to sufficient for setting up 1.5 lakh HWCs, as Abhay Shukla of Jan Swasthya Abhiyan and T Sundararaman, professor at Tata Institute of Social Sciences argue in The Hindu. He points out that the 2018 health budget actually marks no dedicated allocation for HWCs, which means the allocation will need to be carved out of the existing National Health Mission (NHM) budget, “which has itself seen a 5% cut compared to revised Budget estimates of last year”. In fact, as Sundararaman says, an “additional budgetary allocation of about Rs 20 lakh per HWC per year, which would work out to about ₹30,000 crore per year” would be required. “But there are no indications of such a commitment — either in this year’s Budget nor the budget allocation that went along with the extension of the NHM,” he says. Sundararaman, who is also former executive director of National Health Systems Resource Centre, goes on to list other pre-requisites for the HWCs to actually become successful. These include sufficient and trained human resources — “a regular salaried workforce of at least three auxiliary health workers per HWC”, he says. But the government has actually been reducing recruitment of regular staff and is instead bent on contractualising and casualising the work force. He also talks of the need of “a well-coordinated referral mechanism with specialists and doctors in the secondary and tertiary hospitals”, while acknowledging that the government is putting very little effort or investment into this. As for the NHPS — which aims to provide insurance cover of up to Rs 5 lakh per family per year for 10 crore households (approximately 50 crore beneficiaries) for secondary and tertiary care hospitalisation — even the Parliamentary Standing Committee on Health and Family Welfare has pointed out in a report that it is not a “step forward” from the existing insurance schemes. The NHPS seeks to expand on the Rashtriya Swasthya Bima Yojana (RSBY), which has been remarkably unsuccessful. The RSBY actually led to an increase in the out-of-pocket (OOP) expenditure by patients, as evaluations have shown. This was even acknowledged by the Parliamentary Committee in its report, which also said that the central government released less than half of the original budgeted allocation for the health insurance scheme in 2017-18. Besides, many states already have their own well-established health insurance schemes. There are no indications as to how the NHPS will overcome the problems associated with the RSBY. Moreover, the allocation of Rs 2,000 crore to provide coverage to approximately 50 crore beneficiaries is laughable. Another major limitation of the NHPS is that it will provide coverage only for secondary and tertiary care hospitalisation, or only in-patient treatment. But the majority of people’s health expenditure is on preventive and/or outpatient care. Most importantly, an insurance scheme is not an alternative to government provisioning of high-quality and affordable healthcare services, which are being privatised and becoming unaffordable — along with the quality getting shoddier by the day — at an unprecedented rate. Finance Minister Arun Jaitley called NHPS the “world’s largest government-funded health care programme”.